Just when it looks like her summer is going to be BOR-ing — eureka! — Judy comes up with the most thrill-a-delic plan ever. Get ready for a race involving tightrope walking, Scream Monster riding, and way more! Add in a treasure hunt for Judy’s teacher, a midnight stakeout, a runaway ice-cream truck, and a dash of Bigfoot, and what have you got? 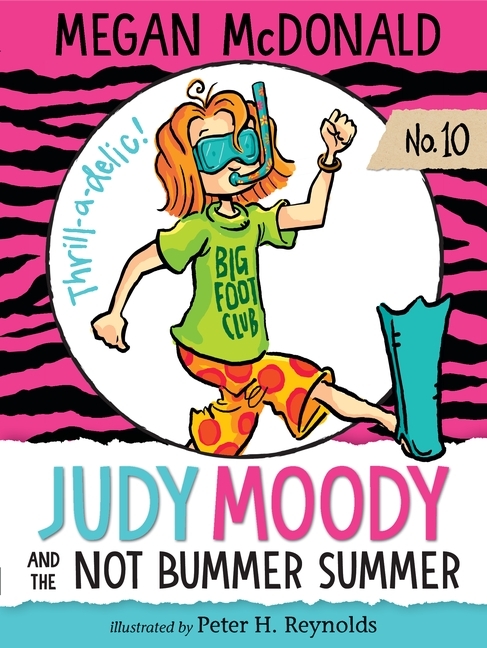 The Judy Moodiest summer ever!